Our friends purchased us this Bible to take along on our traveling adventures. It will be perfect for trips, because although I love my leather Bible that has all my favorite verses underlined, I don't like getting it dirty or near water. Plus I think it's super important to read your Bible while traveling. 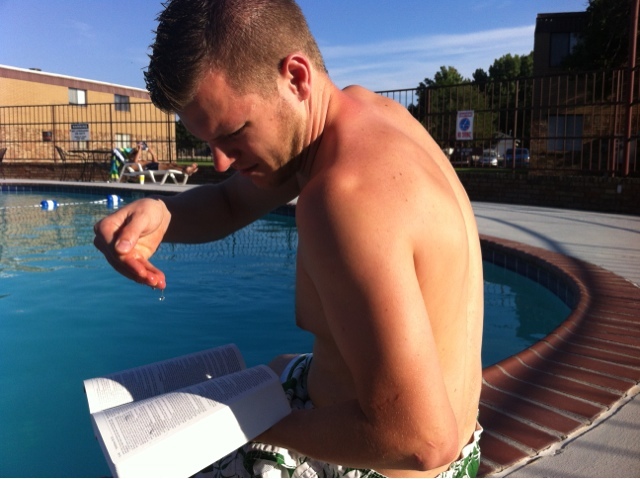 Dave and I took the Bible to the pool the other day to test it out. Dave said he felt kind of felt blasphemous for throwing water all over a Bible but we wanted to test it out. It worked like a charm and our Bible dried out and is like new. Dave also says this Bible currently goes great with my 'trophy wife' status of lounging by the pool, not working and reading. Which, will soon come to an end as I will start working part time next month. 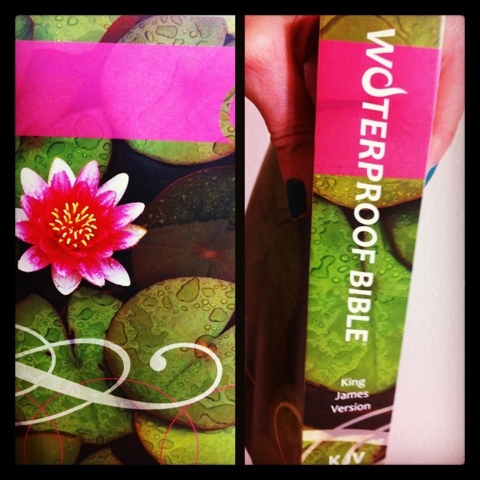 Would you consider a waterproof Bible? What do you do on vacation to stay in The Word?